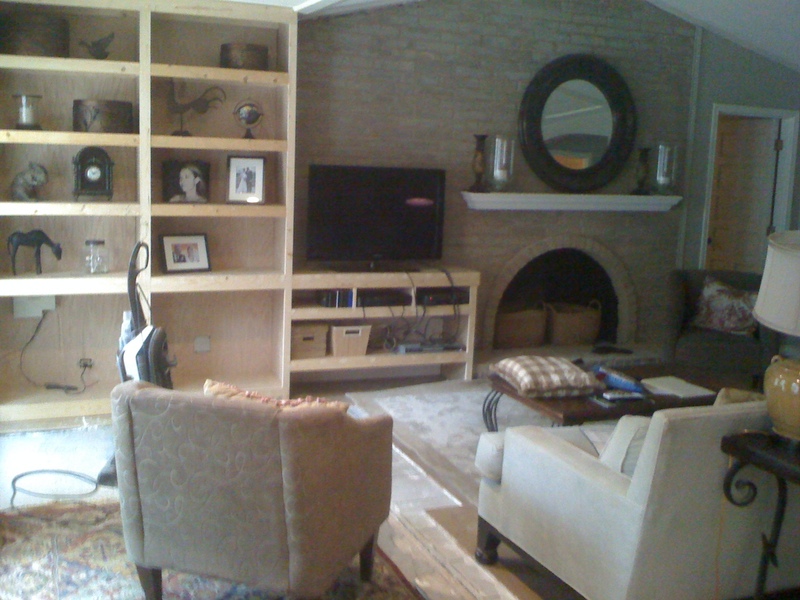 My parents have recently completed a pretty awesome expansion on their 1970s ranch home in small town, Texas. 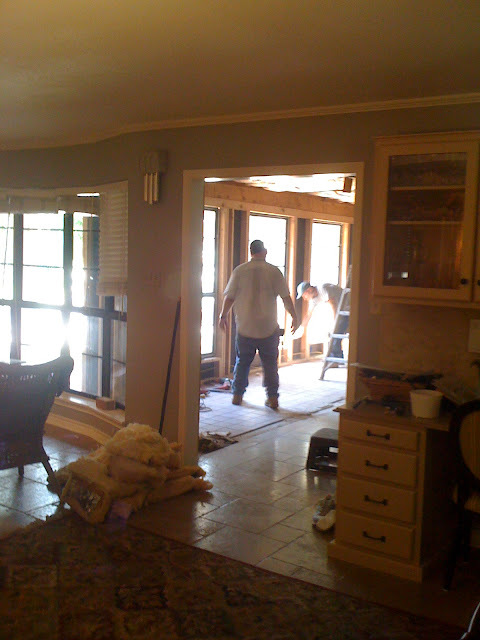 They knocked down a wall in their living room and expanded it onto where the patio used to be, which in turn created an open living area between the living room, dining room and kitchen. 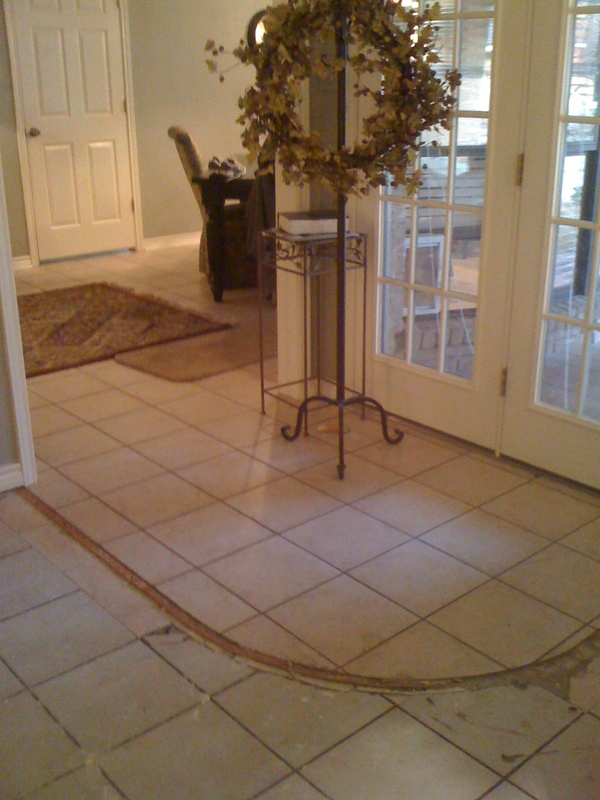 Then they added some pretty archways, put down travertine tile in the whole space and gave the front door a makeover. Basically, my mom and dad are the renovators that give me the confidence to try to fix up our own home. I've been watching them do it my entire life! 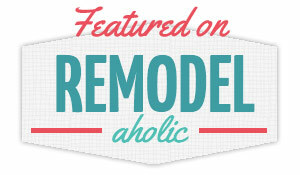 They do the right renovations for resale, too. The last two homes we've had both sold in their first day on the market, for full asking price. Not too shabby. 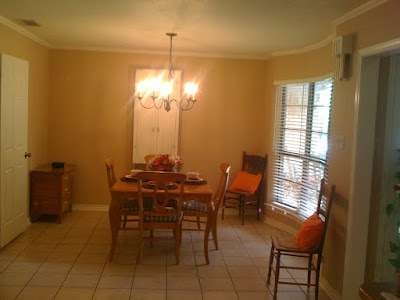 My mom has dreams of staging homes when she retires, making them look pretty when they are trying to sell them. I think she would be great at it. 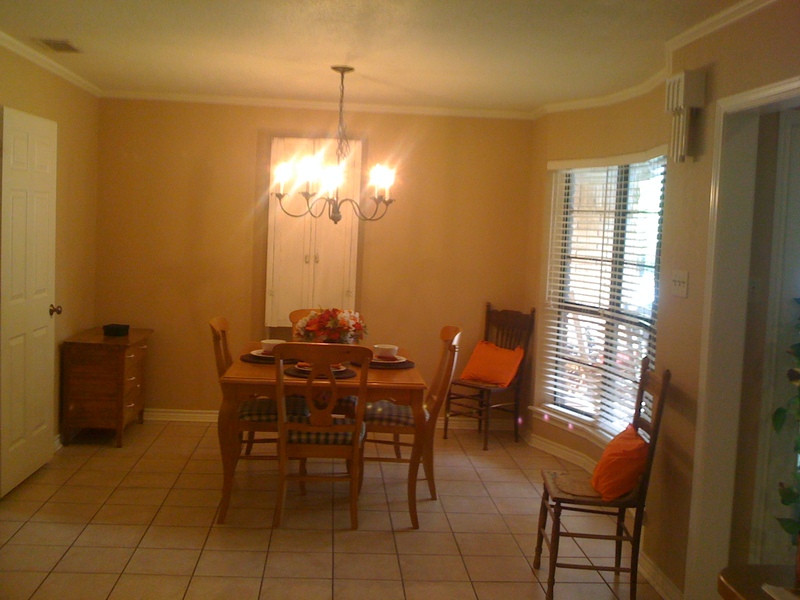 This is what the house (living room/dining room) looked like when they first viewed it, still occupied by the previous owners. In this picture below, you can see where the carpet used to be. They uncovered some yucky dated tile underneath it. In this picture below, they have knocked down the living room wall and pushed it out to enclose what used to be the back patio. The wall by the kitchen is still up- that didn't come down until later. When they expanded, my mom had them add these built-ins on the left of the television. 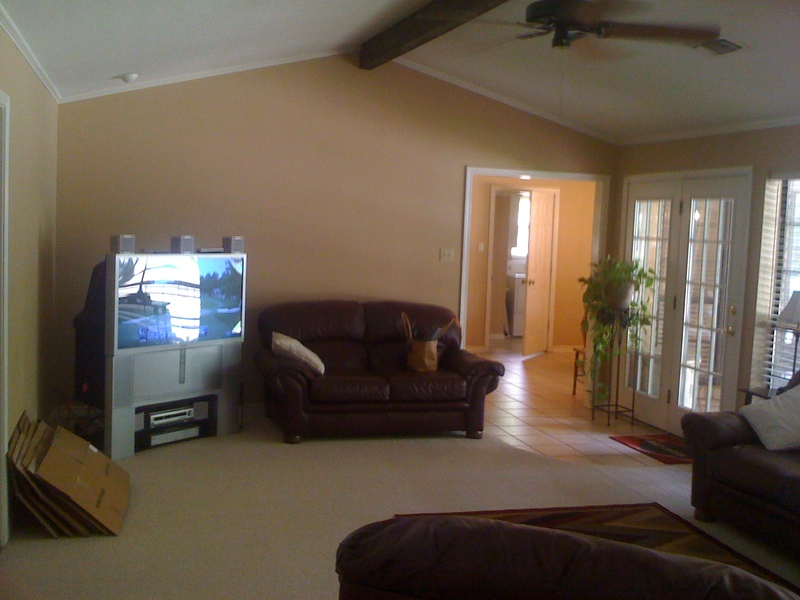 This is also before my dad bought the gigantic 60" television– a design dilemma my mother didn't see coming. Ha! And now for the beautiful after photos. They did a fantastic job! The new view from the kitchen, complete with two gorgeous archways. It looked so much bigger than before. The change was pretty incredible. That ceiling detail is new, too. My mom likes to add special touches like that. 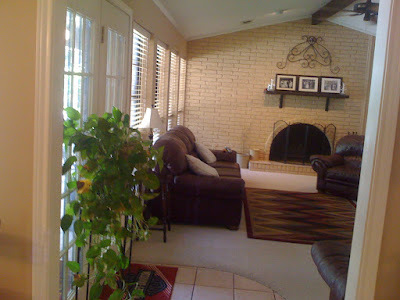 She made the arches look like an original feature by changing the main entrance of the house into a matching archway. Looks like it has been that way all along! You can see in the before pictures that it used to be squared off. It's pretty amazing how a simple arch can make an entry feel much more expansive. There's the new monster TV. Don't those built-ins look awesome? She can fit all sorts of stuff in there. The living space is so much more open now. Check out those travertine floors! My dad installed them in more than half the house, all by himself. We were fortunate enough to get the leftovers for our guest bathroom. Our tiny guest bathroom has the nicest floors in our entire house. Haha! How awesome are those white furry stockings? Those were a Marshalls find. This is a great view of the ceiling detail they added. They needed to do something to make the transition to the new ceiling look like it had been there all along, so this was their solution. Very successful, in my opinion. Can you spot a certain Happy Homebody in this picture? Seriously, what a dork. I have a very similar photo of him from my brother's wedding. I was trying to take a picture of my brother and his wife during their first dance, and he poked his head out at the last minute. "Photo-bombing," he calls it. Isn't that a fantastic renovation? They are very proud of it, and rightfully so. 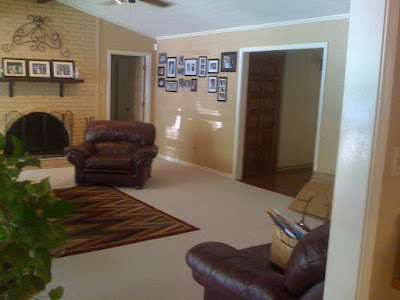 They did almost the entire thing themselves, and the house looks completely gorgeous now. One last thing... 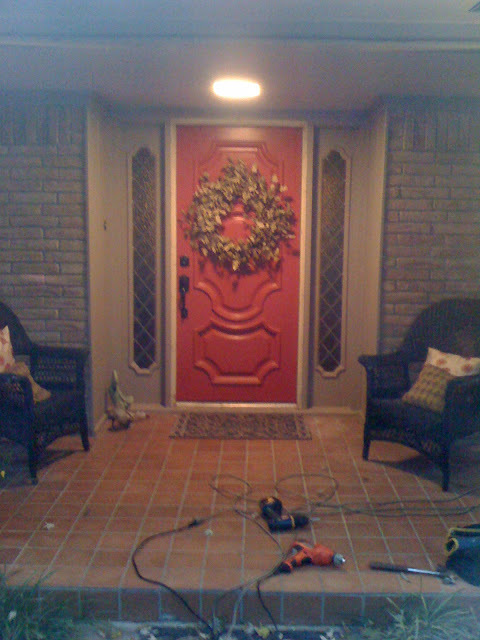 The front door also got a great makeover! SO much better, right? Two is better than one! I hope you enjoyed seeing my parents' renovations. If you have any questions, just ask me in the comments. 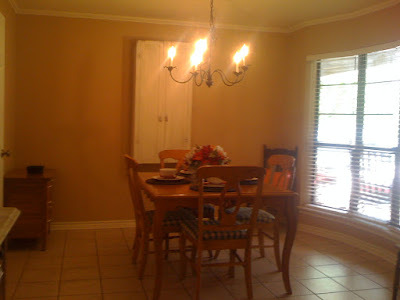 I can definitely track down paint colors and sources if you want to know!